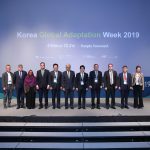 During this week from April 8th to 12th, 2019, the “Korea Global Adaptation Week” is taking place in Incheon, South Korea. 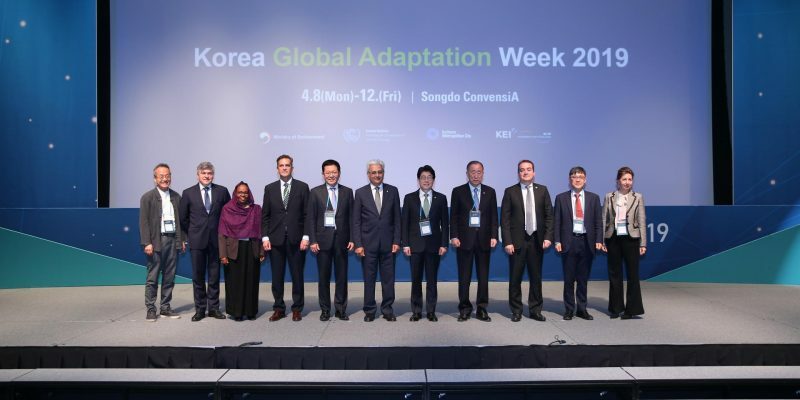 The week-long conference is hosted by the Korean Ministry of Environment and co-organized by UN Climate Change (UNFCCC), Korea Environment Institute (KEI), Korea Adaptation Center for Climate Change (KACCC), and Incheon Metropolitan City. 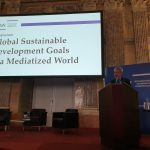 Experts and global leaders meeting at the Korea Global Adaptation Week have urged countries to increase their climate ambition and to scale up their efforts to build resilience to the unavoidable impacts of climate change. 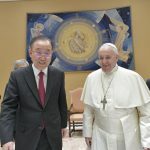 At the opening, BKMC Co-chair Ban Ki-moon expressed his concern that the climate issue is not an issue of tomorrow. For the first time, Resilience Frontiers – an initiative undertaken by multiple agencies – gathered a hundred thought leaders for foresight and collective thinking on how to maximize long-term resilience to climate change!by harnessing the potential of emerging technologies and new sustainability trends, while mitigating associated risks. 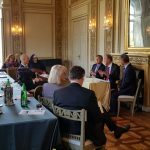 Marking the 25th Anniversary of UNFCCC this year, Executive Secretary Patricia Espinosa also stressed that the climate action is more urgent than ever.